The community continues to support Veterans Memorial Plaza. 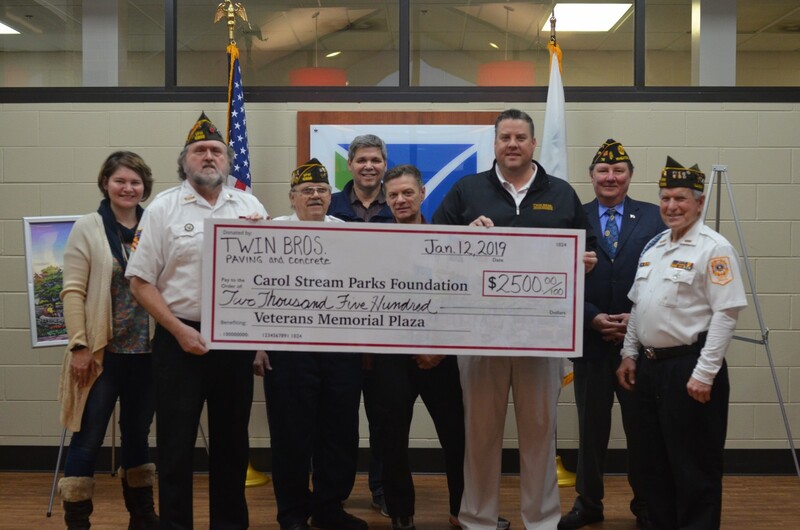 Resident and previous youth sports coach for the Carol Stream Park District Damian Bierman, president of TWIN BROS Paving & Concrete, presented a $2,500 check to the Veterans Memorial Task Force. Damian, whose father served as a marine, was happy to contribute to this project and meet the veterans. Thank you Damian for your generous donation.